Our Personal Care Team go from strength to strength as they welcomed their 100th private client this month. Pauline Jeffree, 77, from Beckenham, was delighted and, having worked in the health service all her career, she knows what good care looks like. 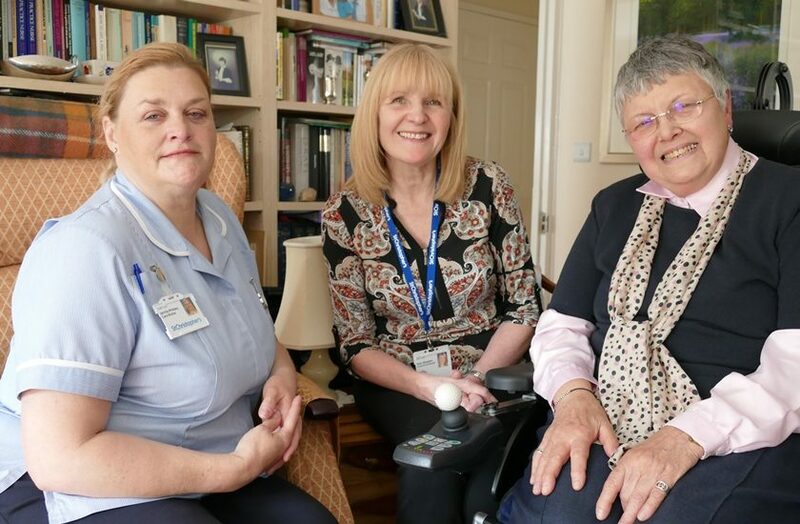 Since 2014 Pauline has become wheelchair bound and has needed help with personal care and everyday tasks. Having previously received private personal care Pauline found services unreliable and inconsistent in quality but when she searched online for alternatives, she read the Care Quality Commission’s reports on providers and was impressed by St Christopher’s rigorous selection of carers, and their regular training, mentoring and supervision. Pauline also felt pleased to know that any profits from the service go towards hospice care. “It is as if I am helping someone else as well as being helped myself”.